The next CREAte Open Lecture will take place on Tuesday 7th March 2017 at 6PM in Marlowe Lecture Theatre 1 given by Professor Shiqiao Li and Esther Lorenz from the University of Virginia, entitled ‘Hong Kong’s Kowloon Cultural District – Physical Density and Urban Drama’. Hong Kong, despite its immense complexity, can perhaps be seen as a fascinating version of an archetypal city: postcolonial, hybridizing, and pragmatic, features that can be seen to be in common with many other ancient and contemporary cities throughout the world. Hong Kong’s intense urban conditions – physical density and historical drama – renders its urban character in immensely provocative ways. This lecture presents a series of design and intellectual explorations of the meaning of culture in Hong Kong’s urban setting, as parallel proposals to Hong Kong government’s investment in the massive West Kowloon Cultural District on a large piece of reclaimed land. The artificiality of both land and culture of the West Kowloon Cultural District contrasts starkly with the extraordinary, but largely marginalized, cultural heritage in Kowloon already in existence. 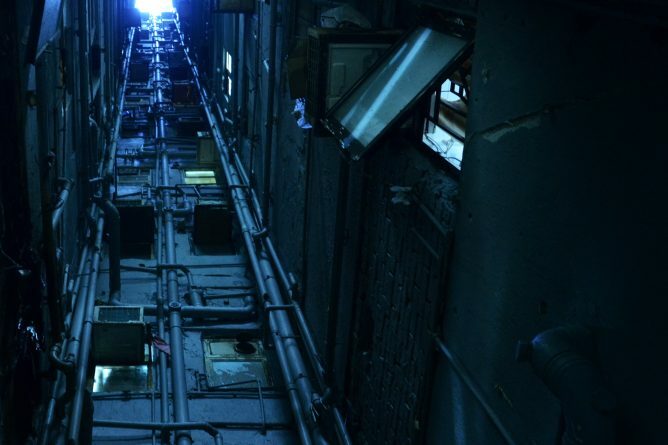 Through the tropes of cabinet of curiosities and archive, we declare that Kowloon is already a cultural district; understanding, documenting, cultivating this living heritage are central to any public investment in culture of Hong Kong. 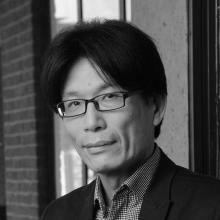 Shiqiao Li took up his position in 2012 as Weedon Professor in Asian Architecture, School of Architecture, University of Virginia, where he teaches and researches into emerging issues in contemporary Chinese cities. This adds to a teaching portfolio which includes history and theory courses and design studio instruction; under his studio instruction, his students won several first prizes in international student design competitions, and were nominated and shortlisted for RIBA President’s Medal. He studied architecture at Tsinghua University in Beijing and obtained his PhD from AA School of Architecture and Birkbeck College, University of London. Li practiced architecture in London and Hong Kong, and initiated design proposals which were published and exhibited in journals and international exhibitions. His writings appeared in: Bauwelt, Domus China, World Architecture, Cultural Politics, Theory Culture & Society, Cultural Studies(Wenhua Yanjiu), The Journal of Architecture, Journal of Architectural Education, Architectural Theory Review, Fabrications: The Journal of the Society of Architectural Historians, Australia and New Zealand, and Journal of Society of Architectural Historians. His books include Understanding the Chinese City (London: Sage, 2014), Architecture and Modernization (xiandai sixiang zhong de jianzhu, Beijing, 2009) and Power and Virtue, Architecture and Intellectual Change in England 1650-1730 (London and New York: Routledge, 2007). He is External Examiner for PhD degrees at the RMIT University and University of New South Wales, International Judge for RIBA President’s Medal for Dissertations in 2006. He was keynote speaker at University of Johannesburg, RMIT University, Melbourne University, Southeast University, Peking University, Beijing Normal University, and lectured at University of Virginia, University of Sheffield, Bartlett School London, University of Tokyo, CEPT University Ahmadabad, University of Pennsylvania, Harbin Institute of Technology, Tsinghua University, Nanjing University, University of Queensland, and University of New South Wales. Prior to coming to Virginia, he taught at AA School of Architecture, National University of Singapore and The Chinese University of Hong Kong. Esther Lorenz is the Director of Undergraduate Architecture Program at University of Virginia. She teaches design studios on undergraduate and graduate levels, a course on urban design, and she is co-director of the school’s China program. Lorenz studied at TU Graz and TU Delft after which she practiced architecture and urban design. Prior to joining University of Virginia in fall 2012 she was an assistant professor with The Chinese University in Hong Kong, and a lecturer at TU Graz. As architect, Lorenz has collaborated on many projects in Austria and Denmark among others. Lorenz focuses on the socio-cultural conditions of architecture, space perception, media and mobility. She has been a guest critic internationally and has exhibited in the Hong Kong and Shenzhen Bi-City Biennale in 2007/08 and 2009/10, and at the 11th Venice Biennale of Architecture in 2008. Her current research explores spatial mediation in Hong Kong; recent papers have been published in The International Journal of Design in Society, and Archithese. Lorenz is the editor of Links and Hubs (Chinese University Press, Hong Kong, 2012), and Kowloon Cultural District. An Investigation into Spatial Capabilities in Hong Kong (with Shiqiao Li, MCCM Creations, Hong Kong, July 2014). The upcoming CASE Open Lecture will be given by Professor Maria Kolokotromi from Brunel University. Her talk entitled ‘Urban Heat Island: it’s impact on energy demand by buildings’ will be given on Tuesday 28th February at 6PM in Marlowe Lecture Theatre 1. 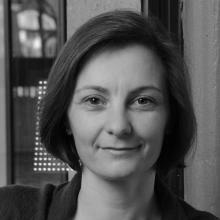 Maria Kolokotroni is Professor in the Department of Mechanical Aerospace and Civil Engineering, College of Engineering, Design and Physical Sciences at Brunel University London and she leads the theme for Resource Efficient Future Cities in the Institute of Energy Futures. Professor Kolokotroni studied Architectural Engineering at the National Technical University of Athens and University College London. She carried post-doctoral studies in the field of building ventilation and low energy cooling at the University of Westminster followed by five years with the Indoor Environment Group at the Building Research Establishment, UK. She is a Chartered Engineer (CEng), Fellow of CIBSE (Chartered Institute of Building Services Engineers) and member of ASHRAE (American Society of Hearing Refrigeration and Air Conditioning Engineers) and IE (Institute of Energy). She is a member of IEA (International Energy Agency) AIVC (Air Infiltration and Ventilation Centre) Board and currently participates to the international project ‘Annex 62 – Ventilative Cooling’ by the IEA EBC (Energy in Buildings and Communities). 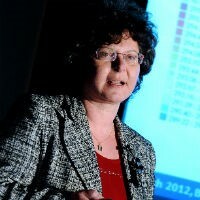 She has co-ordinated and participated to a number of UK, European and International projects on energy, low energy cooling and ventilation, urban heat island (quantification for London and its impact on energy demand by buildings) and mitigation strategies such as cool materials as well as the impact of climate change on the energy performance of buildings and urban areas. The talk will focus on buildings and the city, and why the energy use differs from rural areas. It will describe the urban heat island of London as revealed by measuring air temperature across the city, its impact on building energy demand and what future adaptation measures might improve energy efficiency. 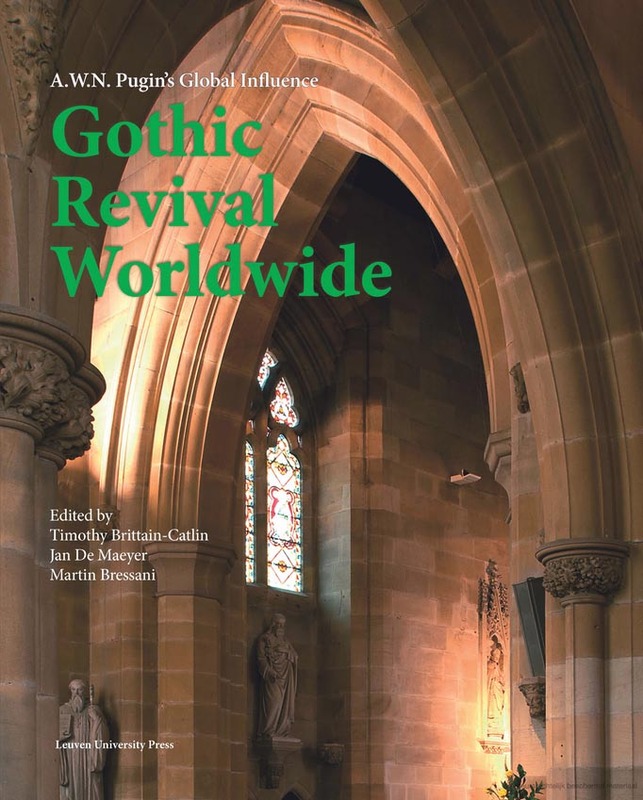 CREAte are proud to announce that Leuven University Press has published their new book Gothic Revival Worldwide: A.W.N. Pugin’s Global Influence, edited by Timothy Brittain-Catlin, Jan de Maeyer and Martin Bressani. This high quality, fully illustrated, 256-page book will become an authoritative volume on the history of the nineteenth-century gothic revival from Canada to China, Australia and the South Pacific. The book developed from CREAte’s acclaimed 2012 international conference New Directions in Gothic Revival Studies Worldwide which attracted leading scholars from all over the globe. Contributors include Professor Stephen Bann on his newly discovered portrait of the teenage Pugin and the Parisian milieu in which it was drawn, and Dr Henrik Schoenefeldt on the architectural and scientific principles in the design of the Palace of Westminster. Both conference and book launched prestigious new partnerships for CREAte. Co-editor Professor Jan de Maeyer is director of KADOC, the Documentation and Research Centre for Religion, Culture and Society at KU Leuven, and Professor Martin Bressani is Director of McGill University’s School of Architecture in Montreal. The book is published in Leuven University Press’ KADOC Artes series. The book is dedicated to Alexandra Wedgwood and the late Margaret Belcher, the two most influential Pugin scholars, and CREAte would also like to thank Thanet District Council and The Pugin Society for its continuing partnership. 2017 KSA End of Year Show Design Competition! In preparation for the 2017 Kent School of Architecture End of Year Show, Kent Architectural Student Association (KASA) are launching a competition to design the Degree Show Catalogue. The catalogue will be available to purchase by students, parents and the public during the course of the event and every year it showcases the high standard of work the school achieves. As this year marks the twelfth event the school will host, the themes for this years show orientate around the twelve hours of the clock. Activities are due to run throughout the day, with events scheduled on the hour every hour, over the course of twelve hours. This year, we are delighted to announce that the current RIBA President, Jane Duncan will be opening the show on Friday 16th June 2017.